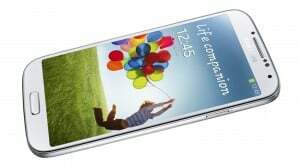 The Wireless Business Division at Samsung Electronics has announced that they are planning to reduce the monthly production of Galaxy S4 up to 15% and retire the Galaxy S3 sooner than established. The July order for Galaxy S4 parts is for 6.5 million, while the same order for May was almost double. The Galaxy S4 was up in April for 10 million handsets and in May for 1.2 million handsets, but the demand decreased in June. Jongkyun Shin, president of Samsung Electronics, went forward to the press saying that “there is no problem”, referring to a JP Morgan report that expressed concern on slow sales of Galaxy S4. This month though we can observe the difference between the S4 sold and the part inventory is getting bigger. Samsung Electronics plans to focus resources on more popular models, while producing the other models with low sales performance. The company plans to launch a new range of models like Galaxy Note III, Galaxy S4 Mini and Galaxy S4 Zoom.